From the Josh Greenwood Collection. 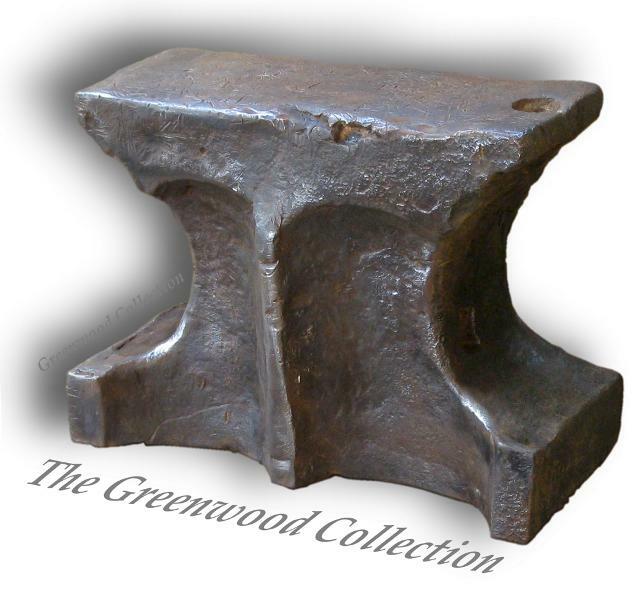 I first saw this ancient German anvil over 30 years ago in a backyard shed in Ephrata Pa., where German immigrants founded a religious community, the Ephrata Cloister in 1732. 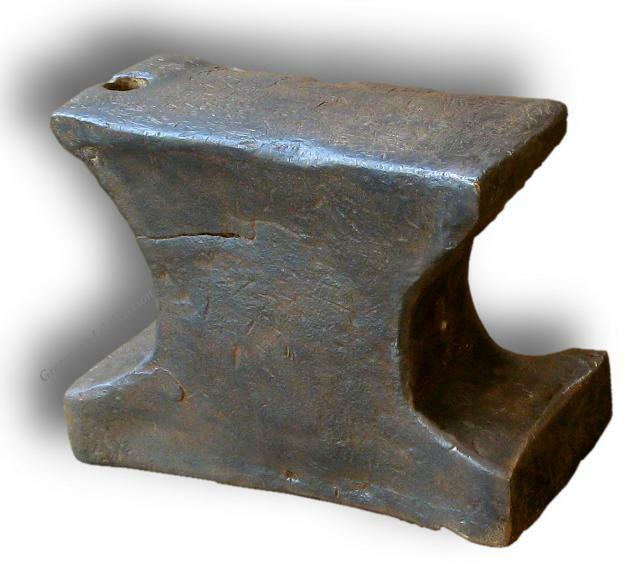 I knew instantly, at first glance that this anvil / swage block was ancient, and brilliantly designed for a multitude of tasks, including making armor. 20 years later I had my one chance to purchase it, and I made it my mission. The anvil was used extensively on end, on its flat back, and in what we would call upside down. 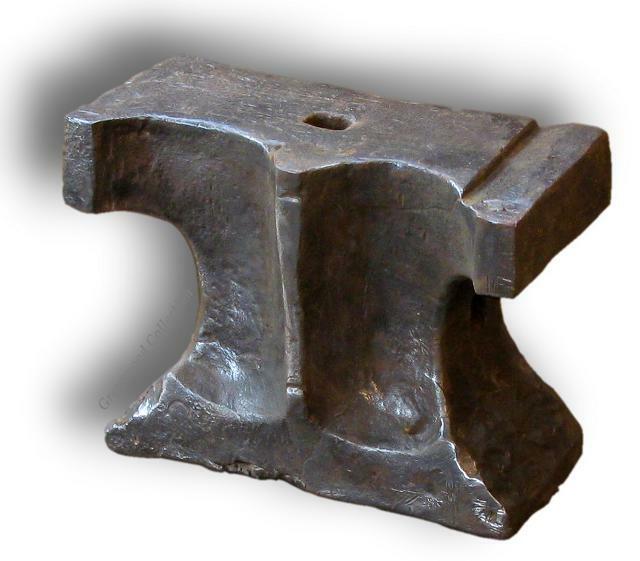 The shallow triangular groove on the bottom is ideal for forging knife, scythe, or sword blades, was an original feature of the anvil, and is the only feature of this sort I have ever seen on an anvil. It was a great pleasure to photograph it, and it is a greater pleasure to share it with my anvil aficionado peers. 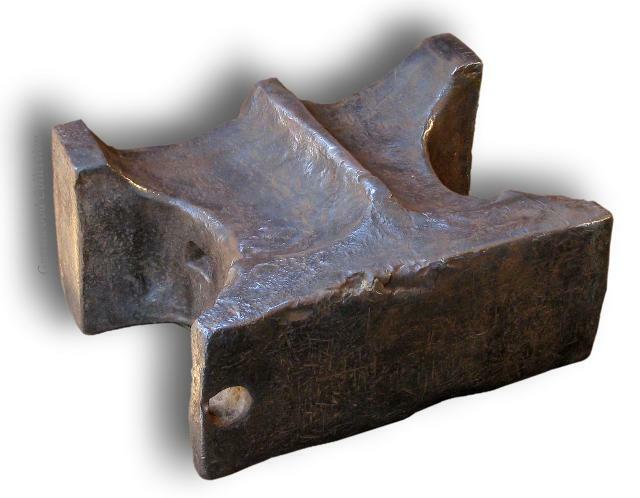 This is a classic flat backed "church window" German anvil that can be used in multiple positions, on its back, on edge and even upside down. While there is no eveidence that this anvil belonged to the Ephrata Cloister it is the right age and type. It also shows the kind of mildly abusive wear and lack of repair that a public or communal tool would see in an 18th century farm community. While the current Ephrata Cloister restoration does not include a blacksmith shop they most certainly would have had one or more during its existance as a self sufficient society. Worn edges, dings and the special notch in the bottom of the anvil indicate that it was used upside down a considerable amount. Perhaps some of this is due to the damaged face and efges. While this anvil is of great antiquity and has been abused quite a bit is shows none of the heavy corrosion often seen on such ancient anvils. This would seem to indicate that it was kept in use indoors and maintained to some degree for hundreds of years of its life. 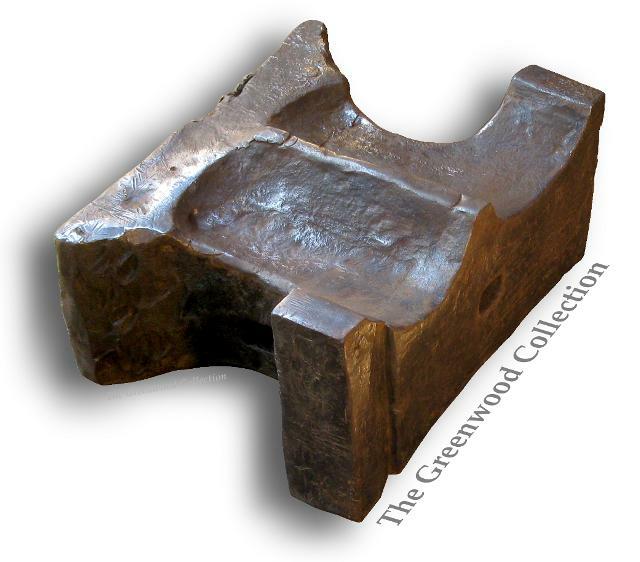 The face of this anvil shows multiple chisel cuts and wear or drilling out of the hardy hole. 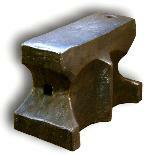 Slight saddling of the anvil indicates a great deal of use as well as the obvious abuse.